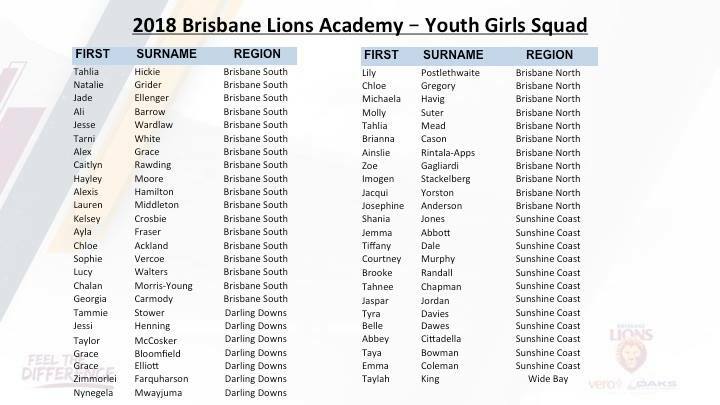 The Brisbane Lions Academy announced their 2018 youth girls squad yesterday, including 49 players, predominantly between 16 and 18 years of age. “It’s exciting for the girls and for our program to keep building on the inaugural girls squad we had over last summer with 26 girls,” said Lions Academy Manager Luke Curran. It will be a short break for the promising youngsters, who are set to get started with pre-season in January 2018, after some prospects only just finished up their involvement in the Under 17 Girl’s State Championships in late October. Belle Dawes, Lauren Bella and Lily Postlethwaite were all named in the squad and look set for strong years in 2018, following impressive performances at the State Championships. Dawes and Postlethwaite are already members of the NAB AFL National Women’s Academy program for 2018, as are fellow promising academy teammates Tahlia Hickie and Tarni White. Players in the academy squad will have access to an environment that does its best to mimic the type of training and preparation expected at AFLW level. 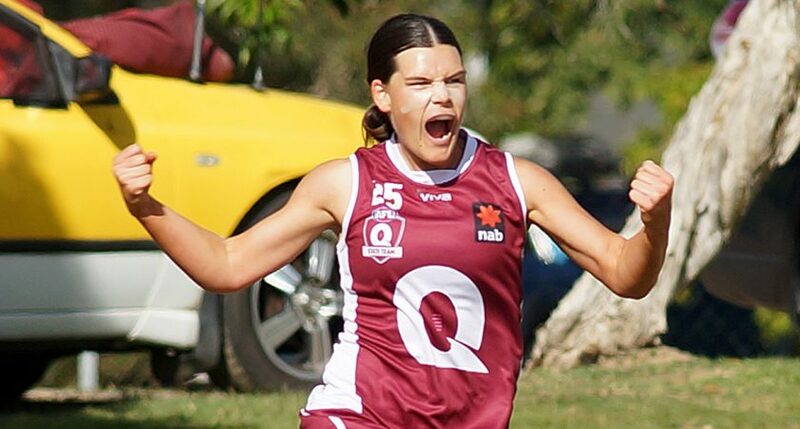 Next year’s crop of academy prospects won’t have far to look for inspiration, with 2017 Lions Academy graduates Sophie Conway and Gabby Collingwood both on the Brisbane Lions AFLW list. “That was a fantastic achievement for those two girls who worked really hard throughout the last twelve months and have duly been rewarded with their selection with our AFLW team,” said Curran.